How Do You Tell Your Cat You Love Them – In a Way They Understand! Have you ever wondered how do you tell your Cat you love them in their own language? Because you want them to actually know that you love them to bits! They don’t know the relationship between us Cat parents and our little Kitty right? They’re so adorable and cuddly and they do provide us with entertainments! That’s why you get so many funny Cat videos and you can watch hours of them! So I guess telling them how much we love them may not be enough. Letting your Cat sleep with you can be a way of showing your Cat you love them and trust them. This is because when a Cat usually sleeps around you then this is a way for your Cat showing you that he loves trusts you and loves you. You see, when your Cat is that comfortable with you then they are being at their most vulnerable near you. I’m not saying to let your Cat sleep with you all the time although they are like a purring hot water bag! To be honest with you, I love it when my Cat sleeps beside me or on my chest! This will make your kitty feel the love you are showing them because you both trust each other. Cats are naturally clean themselves as they already spend around 30% of their life grooming themselves! But don’t rule out the fact they your little kitty will appreciate you grooming them and giving them a hand especially if they have long fur. Stroking them and brushing their fur will be appreciated by your Cat. What I do is, I stroke my Cat behind the ears or under the chin which they love because it’s the hard to reach areas. Why not give it a go and see how much your Cat will love it! Has your Cat ever slowly blinked at you? Ever wondered what that means? That’s what it basically means. You see Cats are predators and also can be a prey too so when they close their eyes in front you it is showing that the trust you so much when they are at their most vulnerable. This way you’re returning that same affection and letting your Cat know you feel the same way towards them! What a great way of showing our Kitty how much we love them! You see, Cats are natural hunters. 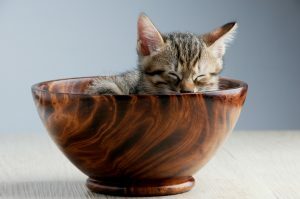 Your Cat have these feel good hormones which is called endorphin. Don’t even get me started on how much my little kitty demands Cat treats! And they will do anything to have one. This is a really great way to show your Cat how much you love them. Give them treats here and there and show them some affection when you do. If you follow these 5 steps then I’m sure the bond between you and your Cat will definitely increase. They want to feel loved just as we do. So as Cat parents we need to understand our Cat and speak their language. 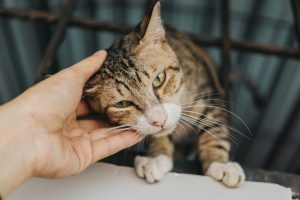 How can we learn or speak Cat language and build that connection? 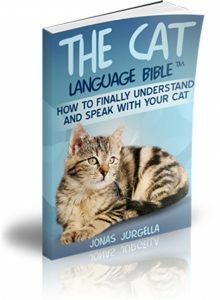 What Is Cat Language Bible? Is it even possible though? 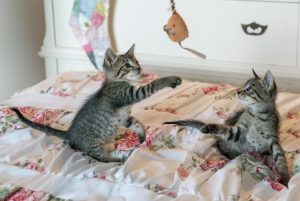 And through this research this guide has been created so Cat parents like you and I can learn things about our Cats that we’ve never known about in the past! I would really recommend this to ALL Cat parents. I go in depth on what you get in this guide, who’s it for, the pros and cons and also the 4 awesome bonuses you get with it! Cat Urine Behavior Problems – Get Your Cat To Use The Litter Box Again! We have gone further, we have taught our cats to communicate with us. One of our cats even blows kisses on demand. Its the best thing ever I wish you could see it. Another head tilts for treats. We gave 6 tuxedo cats, a stray adopted us and had 5 kittens, there was no way we were going to let any of them go so we enclosed the garden and dedicated our lives to them. Best thing we ever have done. One of mine calls out “mummm….. Mum… Mummy….” and then back to Mummmm in a time that screams out im dying of cold/ heat/ starvation/ love/ cuddles etc. I have always spoken with mine but will state I have had far better response from them when it come ticking off when I just glance at them and use eye communication with them. The same has applied for positives of gratitude from me to them n viceaversa especially when at times when I’m in a bad way (health) as I find them beside me on bed or sofa and some on me and massaging me in all the right places.